Today’s urologists have inherited from their teachers an understanding of surgical prostatectomy which has relegated such a procedure to a routine performance. 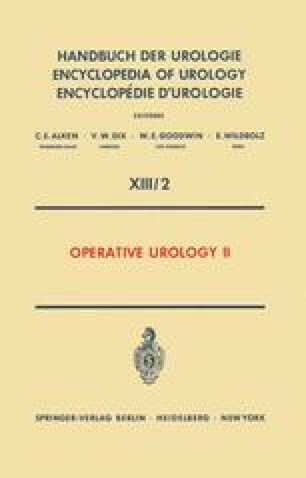 This chapter will concern itself with the distillation of the present day practice of open surgical prostatectomy with special attention to the indications, the preoperative preparation and diagnostic evaluation, the established successful surgical techniques, and the management of possible complications. Transurethral prostatectomy, which has rightly become the technique most frequently used by American urologists for routine prostatectomy, will be considered in a separate chapter in deference to its special technical problems.